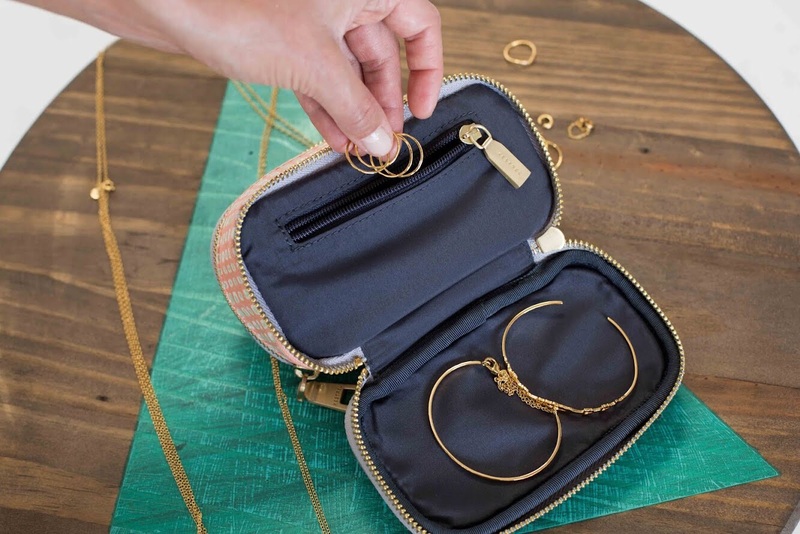 It may sound silly, but if you travel with jewelry you know it can be frustrating. I’ve always struggled with mine getting tangled, lost, or tarnished. I’d throw it all in a little bag together, or just into my toiletry kit and then get frustrated when it became a mess. 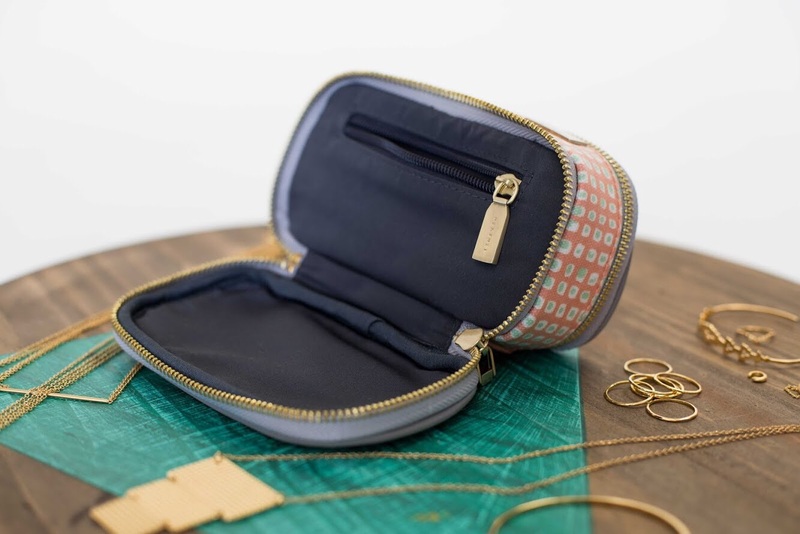 I finally decided I needed to do something different, so I started the hunt for a good jewelry travel case. My absolute favorite that I found is the case pictured here, by Kestrel. 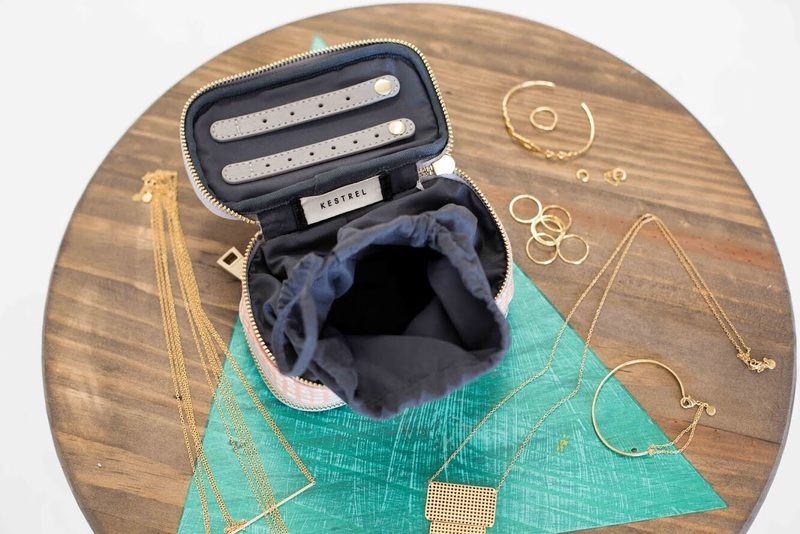 It’s the perfect size for me for the amount of jewelry I usually travel with, and the different compartments are exactly right for organizing my different pieces. It’s super durable, so I know it’s going to last me a long time. 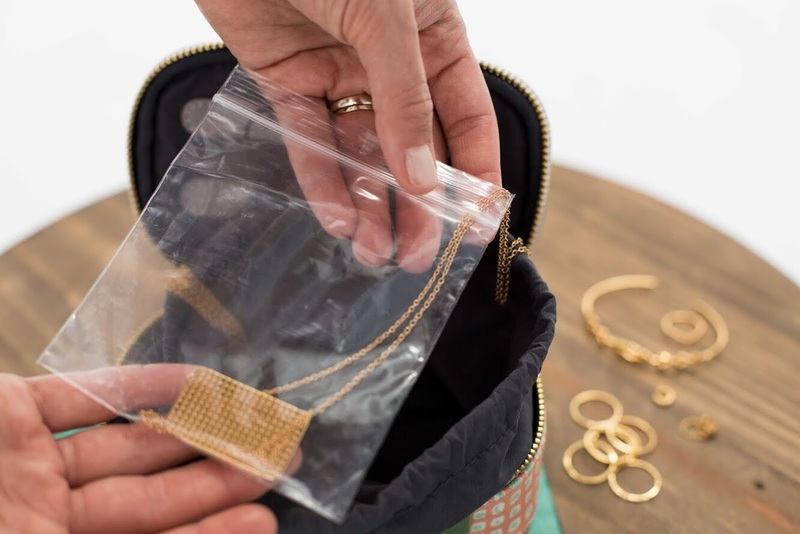 If you have expensive jewelry, carry it on – don’t put it in your checked baggage. If it’s really expensive, insure it! 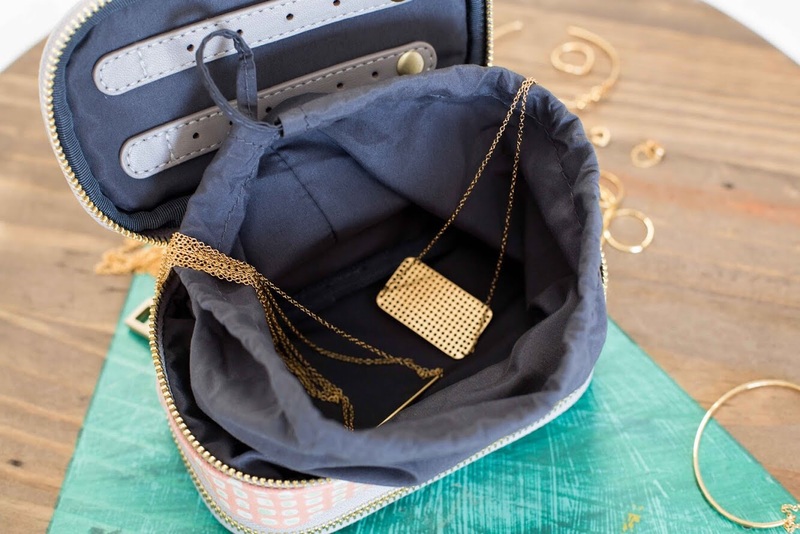 Plan your outfits/jewelry ahead of time so you only bring what you’ll actually wear. Hope that helps! 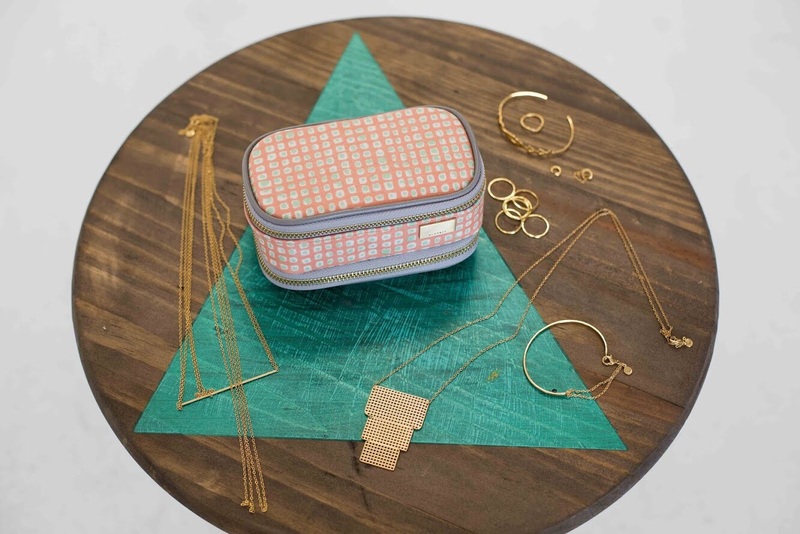 See below for details on the Gorjana jewelry featured in this post (I can’t get enough of it!) 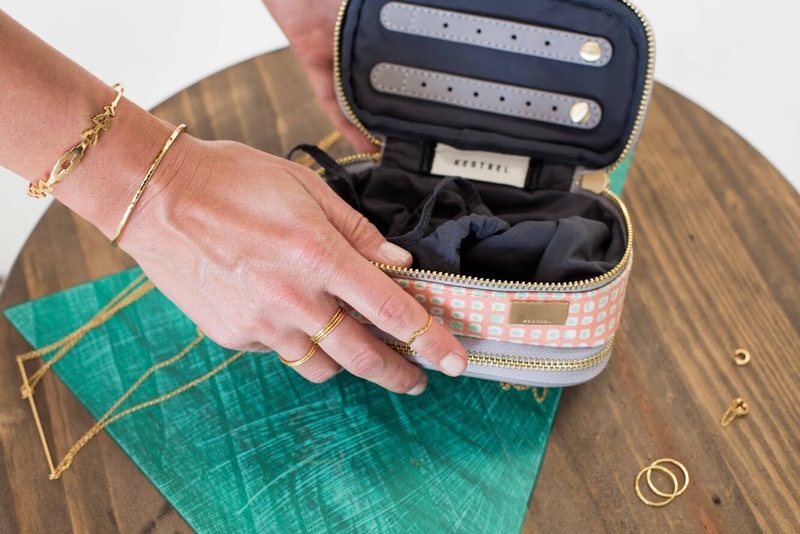 and for more of my favorite travel cases from Kestrel.